In the Fall of 1843, English writer Charles Dickens found himself short of cash. With his wife expecting their fourth child, he decided to write a novel – rather than the stories which he had been supplying magazines and periodicals – which he could publish himself, thereby earning all the profits. Dickens right away set about to write his book, but he experienced an uncharacteristic “writer’s block.” He started several drafts of different stories, but none seemed sustainable. With Christmas less than eight weeks away, Dickens had yet to produce any usable material. Working late one night, the story goes, Dickens drifted to sleep over his writing desk. He awoke with a start at 1:00 in the morning, his candle nearly guttering and his fire gone cold. With less than a month before Christmas remaining, Dickens took the book to the publisher. There was quite a bit of wrangling over the exact nature of the final product. Dickens insisted that no expense be spared, and he finally triumphed. The first edition of A Christmas Carol – among the most valuable first editions in English literature; a good condition copy was recently offered for auction by Sotheby’s, fetching £181,250.00 ($288,555.44)  – was a work of art: decorated with engravings, six color plates, and a handsomely adorned fine fabric binding. The book was published Tuesday, 19 December 1843. The rest as they say is history: that first edition of A Christmas Carol sold out rapidly; it has not been out of print a single day in the past 175 years. There have been dozens of plays, musicals, movies, radio dramatizations, and television specials, more or less based upon the timeless tale of hope and redemption. So closely did Dickens become associated with Christmas in his own day, that when he died in 1870, children in England were said to have feared that Father Christmas would have to die as well. 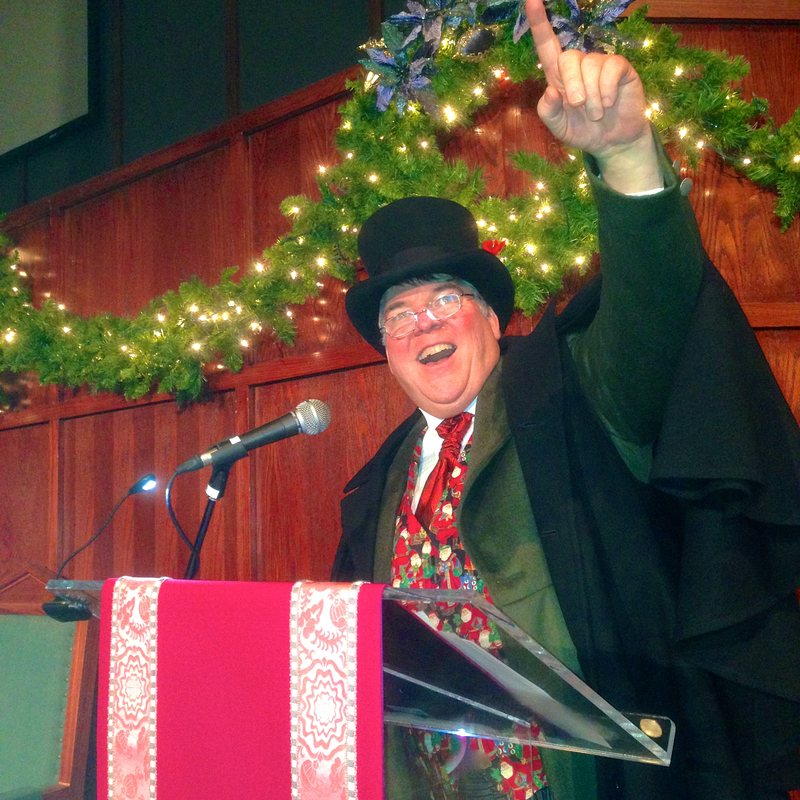 It is of interest that Dickens’ tale – while requiring apparent supernatural agents – does not emphasize the religious and specifically Christian nature of Christmas. One may interpret the ghosts in various ways, but they are not angels. No Christ Child appears, though Mankind’s children are featured. 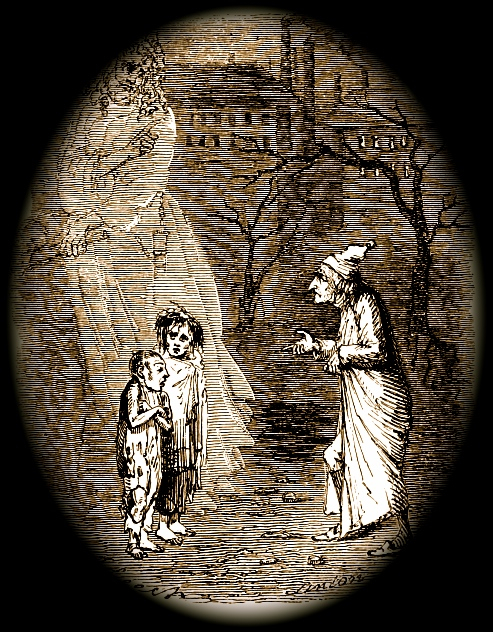 When Scrooge asks about the wretched, frightful imps which the Ghost Of Christmas Present reveals to him, the ghost replies, “This boy is Ignorance. This girl is Want. Beware them both, and all of their degree, but most of all beware this boy, for on his brow I see that written which is Doom, unless the writing be erased.” This sentiment seems to as much convey a political message as a moral one. In our own time, Ted Geisel, Dr. Seuss, distilled the key points of Dickens’ masterwork into the modern classic How The Grinch Stole Christmas, which has developed a life of its own. Dickens’ prose is rather convoluted and florid by today’s tastes, and his story is filled with digressions, so that abridged versions are most popular these days, but the basic plot of A Christmas Carol, its archetypical characters, and its message of the true meaning of Christmas are as valid today as they were in London in late 1843. As we approach this Christmas in our frenetic and anxious modern world, I can do no better than to quote from the last paragraph of A Christmas Carol: … and it was always said of [Scrooge], that he knew how to keep Christmas well, if any man alive possessed the knowledge. May that be truly said of us, and all of us! And so, as Tiny Tim observed, God bless Us, Every One! I haven’t missed it. The Spirits have done it all in one night. They can do anything they like. Of course they can. Of course they can. In this wide-ranging book, Standiford explores the circumstances of Dickens’ unhappy childhood which profoundly influenced both his inclination to randical politics and his views of contemporary British society, the development of international copyright law, aspects of 19th Century British publishing, and manages to fit in the actual story of A Christmas Carol as well. All the while, he keeps the subject fresh and compelling. Both an invaluable reference work and a lovely presentation of the work, copiously illustrated with samples from every famous edition’s illustrations.